World Tennis Australia offer Tennis Coaching Hampton and throughout the Melbourne area. World Tennis Australia is a professional tennis coaching organisation with over 25 years’ experience coaching on the world circuit and here in Australia. We offer Tennis Lessons to juniors, Adults and seniors with a range of courses to suit all playing levels. Our expert team of tennis coaching professionals offer private tennis coaching Hampton along with group tennis Coaching Hampton and Fitness Tennis Coaching Hampton at Our Middle Brighton Tennis Club only 10 minutes down the road. Dean Ellis, the director of World Tennis Australia has been coaching personally for over 30 years and shares his wealth of experience and know-how with his students and fellow coaches to continually improve the skill levels and confidence of everyone involved regardless of age and tennis level. Our Junior Hotshots program provides tennis coaching Hampton to students from 4 years old through to 9 an over and our school holiday programs are ideal for all ages and participants looking to enhance their skills. Adult Mixed Tennis Coaching Hampton is a great way to meet new friends and keep fit after work with a combination of match play, fitness work and drills. Are you looking for a little more competition? Our Friday Night Match play is a regular session designed primarily for squad participants and tournament players, so long as you can serve and rally all levels can participate. A great way to improve your skills under match conditions. 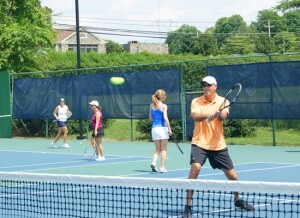 For more information on Tennis Coaching Hampton please visit our coaching programs Page here. Why not join us for a FREE COACHING SESSION? Just Complete the form on our homepage & one of our team will contact you to arrange a time. For more information on upcoming events visit our Facebook Page here.